Colorado has made its mark (a big one) in the beer market, but not far behind are hand-crafted rums, vodkas, whiskeys, gins and liqueurs that boast farm-fresh ingredients and crisp snow-melt water. Find out how you can savor the fruit of their work (sometimes literally!). It’s similar to the chicken or the egg dilemma: Is it Colorado’s hunger for local ingredients and artisan products and an adventurous attitude that prompted this niche market? Or was it the quality-obsessed distillers that fostered the thirst for smooth spirits? Either way, Coloradans love what’s happening to the local spirits and have full-heartedly supported the small-batch movement. This distillery, tasting room and art house is also an unassuming community space, where you’re encouraged to bring your own meals and snacks and all ages are welcome (they happily offer “non-spirituous concoctions”). 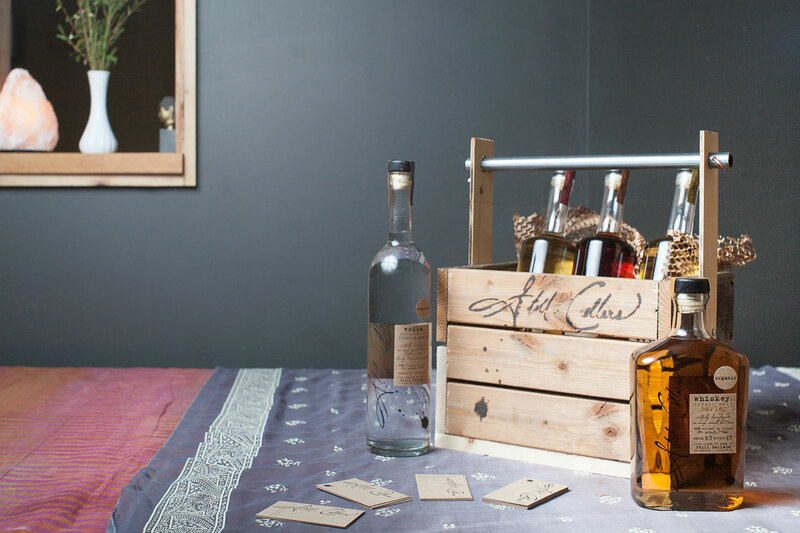 All of their spirits, including whiskey, vodka and a unique selection of apple brandies, are certified organic and made by hand — and their cocktail recipes reflect the same everything-is-fresh philosophy. The intimate tasting room is open Wednesdays or Fridays, and they host live music on Fridays and movie nights on the first and third Monday of every month. We’ll drink to that. Known for exquisite-tasting gin (without the harsh, piney aftertaste) and flavorful liqueurs, the Leopold brothers are downright serious about the art of crafting — and many of those in the know think they’re the smartest, most innovative distillers in the state. Peruse leopoldbros.com to get Leopold Bros.’-inspired cocktail recipes made from an impressive collection of award-winning spirits including a 19th-century inspired Absinthe Verte. The brothers pay homage to Colorado with the complex Three Pins Alpine Herbal Liqueur (three pins is slang for telemark skiers) — a bartender’s dream liqueur for a sophisticated and earthy cocktail. The distillery scene is by and large a man’s world, but Karen Hoskin, co-owner, president and in-house rum fanatic at Montanya Rum begs to differ as she pushes Colorado into the international rum market. Rum you say? Although it seems like a stretch for Crested Butte’s cozy mountain town, rum has been around these parts for more than 120 years. Caribbean mariners brought it to Colorado during the Gold Rush for use as currency and water purification. Visit Montanya’s restored saloon with other après adventurous locals for a cocktail before dinner in town. Colorado’s beloved Stranahan’s had a dramatic beginning when firefighter Jess Graber responded to George Stranahan’s barn blaze. As the flames died down, their mutual love for “a good pour of fine whisky” lit up, and now Coloradans are saying “Cheers!” to this finely aged whiskey. Tours are giving daily, and visitors enjoy whisky-inspired fare at the adjoining restaurant. For a real good time, sign up for a bottling party or camp at Stranahan’s the night before a release of the enormously popular wine-barrel-aged Snowflake series each winter. Just outside the Denver Tech Center, friends Mitch Ababte and Andy Causey are single-handedly running a mad-science laboratory that produces some of the highest quality spirits in the region. The secret: Use the best ingredients in the world and distill them with nothing less than absolute perfection by carefully monitoring every step of the process. Case in point is the zesty New Mexican dried red chilies and Indonesian black pepper distilled Pepper Vodka that took much experimentation to perfect. The duo is so dedicated to high-quality spirits that they even teach their hard-earned knowledge at the Distillery School on site to spread the wealth of quality to the region’s other up and comers. Syntax Spirits’ all-female produc­tion team has an impressive array of advanced science degrees — a fact you’ll see reflected in their distilling precision. They insist on making all of their spirits using only Colorado grains (with the exception of rum) and purified Cache la Poudre River whitewater. Syntax’s own garden supplies several of the herbs and vegetables for use in their cocktails to boot. Visit them at their new location in the historic Greeley Elevator Building to try the veg-forward Beetnik, which has a loyal following and features Syntax vodka with a beet-dill shrub, fresh lime juice and a salt-and-pepper rim. The eastern outpost of Hugo (population 730) may be tiny, but some mighty big flavors await those who make a stop here. The whiskey at Sand Creek Distillery is produced in micro-batches under the great care and attention that only a one-man operation can devote. The tasting room is small and intimate, perfect for good conversation and whiskey sippin’. Sand Creek is so new, a visit means you’ll be able to taste one of the first few bottlings of their single-malt whiskey. Three words: mountain-view patio. Take your vodka, whis­key and gin tasting flight or your cocktail out to the deck of this exceptionally situated tasting room and enjoy views of what’s been called the “Switzerland of America.” Keep it simple with a gin and tonic that lets KJ’s piney Jinn Gin shine as brightly as those glorious views. The philosophy behind KJ Wood’s spirits is to start with the best water possible — Rocky Mountain glacial runoff — and to add only fine ingredients such as local barley and blue corn. Like many fervant distillers, Nathan and Jessica Newhall were lured to Colorado by the state’s pristine Rocky Mountain Water and opened Steamboat Whiskey Company in 2016. Steamboat Springs’ first and only distillery produces bourbon, rye, corn and oat whiskeys; gins and vodkas sourced from local ingredients. Pop into their tasting room in the ski enclave’s historic downtown to try a cocktail featuring their flagship Warrior Whiskey, a blend of bourbon and rye whiskeys finished in newly emptied rum casks. Plus, proceeds from the products sales go directly to vetted U.S. veteran support organizations — so you can sip for a worthy cause. Win-win. An 1880-era German still (affectionately nicknamed Ashley), two brothers with a love of the outdoors and a setting in stunning Arkansas River-side Salida seem to be the key ingre­dients for exceptional Colorado whiskey and gin. Stop in Wood’s welcoming tasting room to see for yourself. But caution: As more than one guest has noted, you may go in a whiskey skeptic and come out a whiskey believer. Theirs is that good. Wood’s mixes up a mean Manhattan, featuring their Tenderfoot Whiskey, locally made Vino Salida Rosso Vermouth and Angostura bitters. Known for its International Wine and Spirits Competition gold-medal-winning bourbon whisky, Breckenridge Distillery is the highest-altitude registered distillery in the world at 9,600 feet. 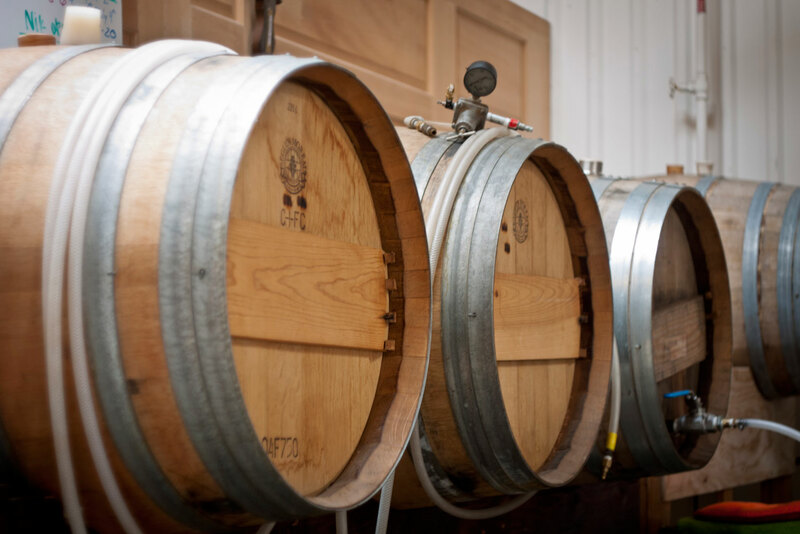 When traveling in the Gunnison and North Fork Valley region, call up Peak Spirits for a tour of their quaint organic and biodynamic farm-to-still operation. Dancing Pines' gingerly crafted Chai Liqueur was a Double Gold Medal winner at the San Francisco World Spirits Competition in 2011. It’s impossible to put into words how magnificent the Spring 44’s Honey Vodka tastes, so instead of trying, we suggest you give it a whirl yourself. Next time you’re in Palisade touring wineries or snatching up juicy peaches, stop by Peach Street Distillers for a quick sip. Friends and self-entitled artists Rory, Bill and Dave meticulously craft spirits with Palisade peaches and sweet corn from nearby Olathe. With a name that pays tribute to Colorado being the 38th state to join the union, it’s no surprise that State 38’s devotion to state-sourced products is voracious. Take their gin, which is distilled with handpicked Colorado juni­per berries. Honey House’s unique approach takes the sting out of bourbon, vodka and rum. Each spirit is infused with Colorado wildflower honey, a technique that has wowed seasoned spirit hounds and newcomers alike. When it comes to supporting local industry, Axe and the Oak walks the walk. The corn and rye for their bourbon whiskey is sourced exclusively from a local farm in Hugo, and their tasting room is actually a full-service bar located inside the Ivywild School, an old elementary school turned community food hall. This elegant distillery-restaurant-bar combo is the place to spend a special evening. The dramatic space is presided over by a gleam­ing copper still one story up, with plush navy banquets to lounge upon below. Spirit Hound, nestled at the foothills of the Rockies, is onto something with their whiskey, gin, vodka, sambuca and moonshine, judging by their growing award list (including a 2018 double gold from The Fifty Best for their whiskey).